13.5% alc. Pale straw colour. A gorgeous textural wine. Indigenous yeasts and oak handling give this wine complexity and engagement. Perhaps not a classical NZ sav in style, but it still shows tropical fruit notes and open airs of citrus. Sweet entry on palate, mealy, rich ripe fruit flavours. Golden goodness I say. Unmistakably a savvy, but this is sav+. I think this is fantastic, and a keeper. This was a wine I served at my 50th a few years ago. The outlaws brought a bottle over when clearing out their house and offered it to us cos they don’t drinks reds. I was chuffed at the chance to see how this wine had developed in the interim. Dark carmine colour, tending brick around the rim. 13.5% alc. This wine was recommended in it’s day. A savoury, dense and luscious nose, with sandalwood, leather, dark fruits and spice. Promising. This is holding up well in the glass. Good acidity and body. Flavours of dark red plums. Balanced, fresh, with a spicy finish, long. Very attractive. Very good drinking now. Has enough acid and fruit weight to last longer, and will look even better 1n 2-3 years time. An aged Riesling from Wineseeker. Tasted instore; bottle bought to take up to the ski club for our last ski weekend and the Club Championships. 12% alc. Gold green straw colour. Developed volitiles, lifted ripe apples, some grapey-ness and kero notes. Sharp and acidic entry. Lean and brisk fruit, tart, with green apple flavours. A layer of secondary development. Bitter finish. Not my trophies, alas. I trailed the field in both the Slalom and GS races. 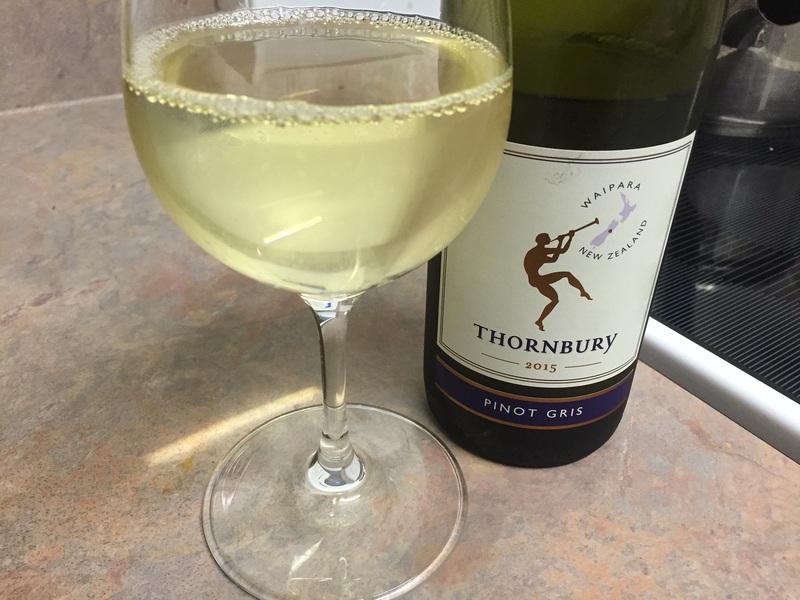 This wine won ‘Pure Elite Gold’ at the Air NZ Wine Awards in 2013 by showing up and showing off, so I thought it might be a bit good and cellared a bottle then to try later. Now it’s later, and now, and I see it’s a typical carmine colour, and 13.5% ABV. There is a sweet attack in the mouth. Fresh acidity with bright red fruit flavours. Great body and extract, depth and length. A raspy finish, with heat lingering at the back of the throat. A tasty one with no bad habits. Clos Henri ‘Petit Clos’ Pinot Noir Marlborough 2015 -$23.55 Juicy & approachable, with structure and depth. Kiritea ‘ Te Hera’ Pinot Noir Martinborough 2013 -$21.65 – savoury, peppery & aromatic. A layered, typical Wairarapa style. Neudorf ‘Tom’s Block’ Pinot Noir Nelson 2014 -$30.25 – A quality quaffer. 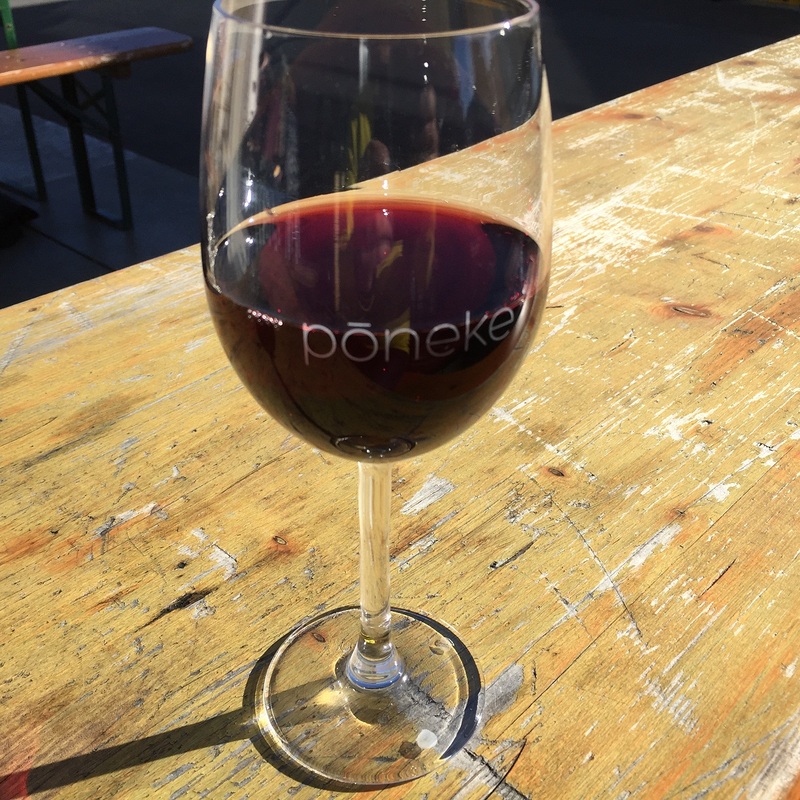 Greystone Pinot Noir Waipara 2014 – $33.95 – Hand-harvested from the Omihi Vineyard. Wild yeast ferment with 15% whole bunch to add complexity. This wine was commented at the tasting as being ‘cerebral’. If you think about anything long enough it becomes cerebral. I thought it had a velvet quality on the nose, with spice, some herbal character, and scents of red roses. So there! Smooth mouthfeel, with a powerful and dense core of statement fruit. Elegant. It finished hot. No thinness or metallic notes, just deliciousness throughout. Pale golden yellow colour. 12.5% alc. The nose is full and expressive with aromas of mandarin orange and honey and lemon citrus. Some secondary phenolic bouquet starting to show. Some mineral character as well. Medium sweetness on palate. Fine, soft and sweet to taste. Primary tropical fruit flavours, honey and mandarin. A finely textured wine. This wine is part of the Kahurangi Estate portfolio. Melness Wines was established in Cust, North Canterbury by the Marshall family, and named after a coastal village in the Scottish Highlands where the ancestors of the founders hale from. It was sold in 2005. First thing I noticed was that lovely hit of typical Riesling phenolics on the nose, followed on by aromas of caramel, apricots, butterscotch, honeycomb and hokey-pokey. All redolent of a medium style Riesling. Sweet, and very ‘grapey’ to taste. Flavours of mandarins and Gran Marnier came through strongly. A wine for Riesling enthusiasts, due to it’s sweetness. This will cellar well for 10 years +. Pale straw colour. 11.5% alc. Single Vineyard product. Welcome typical varietal phenolic, volatile and lifted characters. Smells of apple, lime and Meyer lemon. & Fresh. White blossom and brioche aromas at the back. A off dry style, the wine tastes supple, ripe & bracing. It has that lovely mouthwatering astringency that makes Riesling so delicious. It is clear on the palate, with perfect fruit weight and a bracing linear finish. Another candidate that confirms Waipara as a go-to-place for delicious good value Rieslings. Pears and apples on the nose. Spicy, lifted aromatics. Quite a bold style. Nice. Off-dry. Rich flavours of apricots and pears, fresh and sweet. Slight spicy/bitter finish – typical of PG. Once the glass warmed up I got a lovely hit of mandarin. Bought by the glass at Mojo Poneke. In the mouth I tasted baking spice and aniseed, and soft ripe red stonefruit. A full bodied syrah. Lots of vanilla also – must have a seed pod hiding in the bottle. Nice drop. From the producer’s website: The fruit for this wine was hand harvested in two separate passes from our Georges Road vineyard in Waipara. Vineyard soils are predominantly loam and gravel based. The vines are trained to a 2 cane VSP trellis with row spacing at 2.0m and vine spacing at 1.5m. A portion of the vines are at 1.0m. All the vines are of the Mass selected ‘Limmer’ clone on a mix of Riparia Gloire, 3309, 101-14 and Schwarzmann rootstocks. Each parcel of fruit was transported on the day of harvest to the winery for processing. Shoot and extensive crop thinning are employed to ensure optimum fruit quality at relatively low cropping levels of approximately 1kg per vine. Each parcel of fruit was passed over a sorting table before being destemmed (without crushing) into small 1.5tonne open fermenters. Fermentation began naturally after an ambient soak of 3 days. The skins were regularly punched down and pumped over during ferment and the wine spent a total of 33 days cuvaison before being pressed, settled and racked to a mix of 1, 2 and 3 year old French oak. In oak the wine underwent a natural Malolactic fermentation and spent a total of 10 months in French oak barriques before being racked, blended and bottled in April the following year.